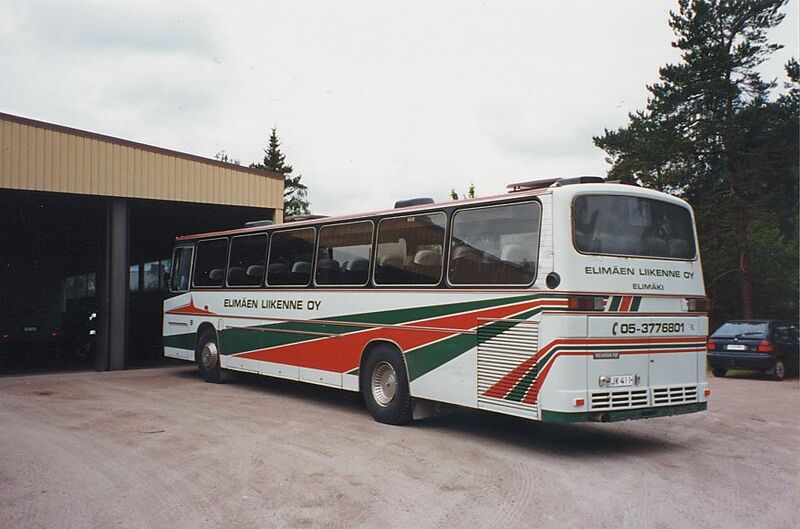 In June 2000 we went on a trip to a bus exhibition in Joensuu with a Finnish bus enthusiasts' assiciation. Here are a few pictures we took along the way. The pictures are links to larger versions. 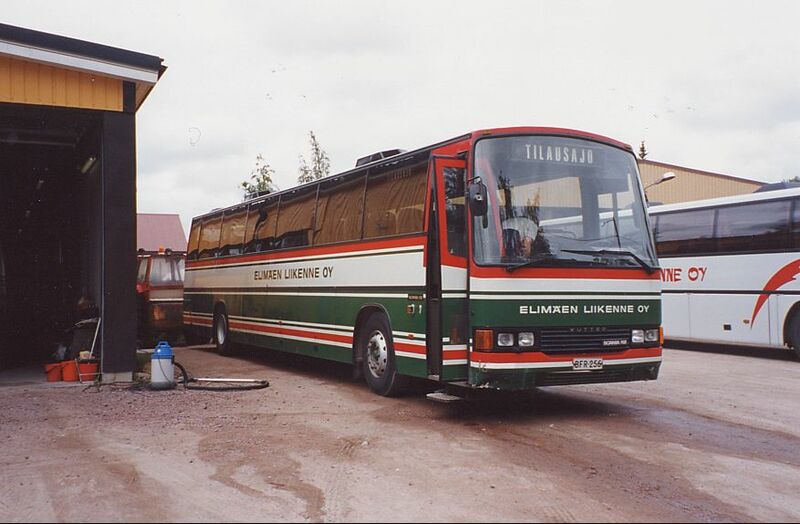 Kesäkuussa olimme SLHS:n retkellä Joensuun bussinäyttelyyn. Tässä hieman kuvia matkan varrelta. Kuvat ovat linkkejä suurempiin versioihin. 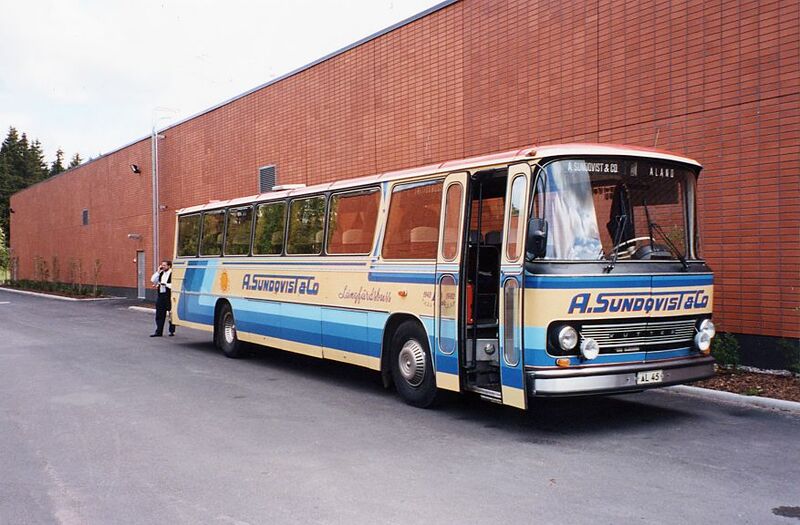 The association's bus that took us to Joensuu. 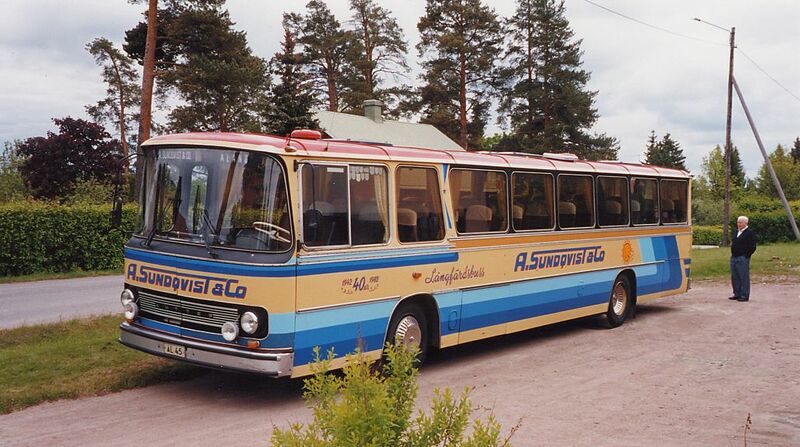 This bus is from 1975. 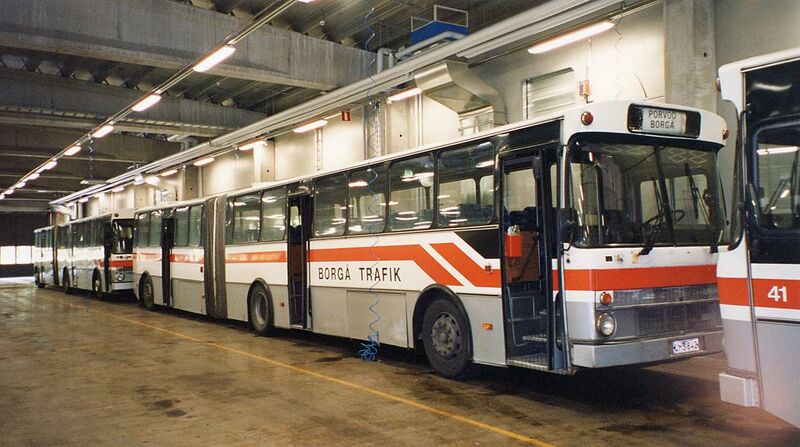 The other side of the same bus. 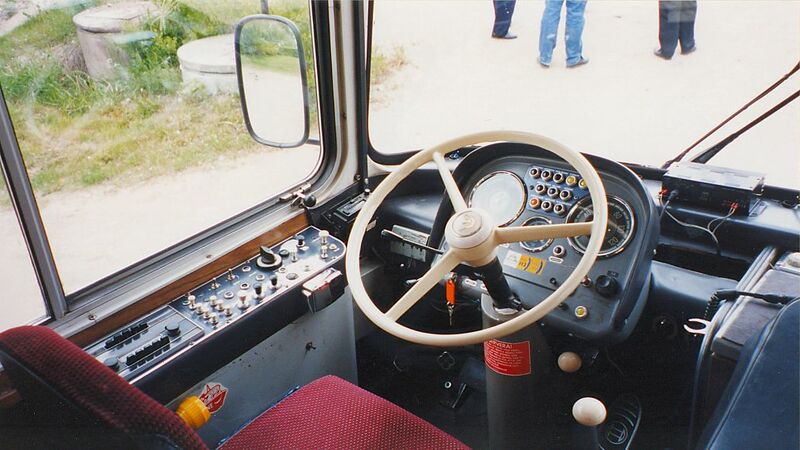 The driver's seat of a the Kutter-Volvo. 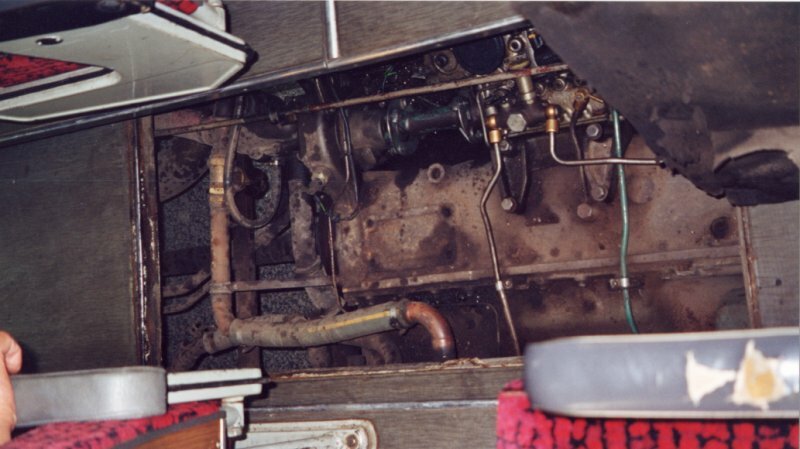 This is the engine of the bus. The cover was opened to replace a proken part in the oil system. 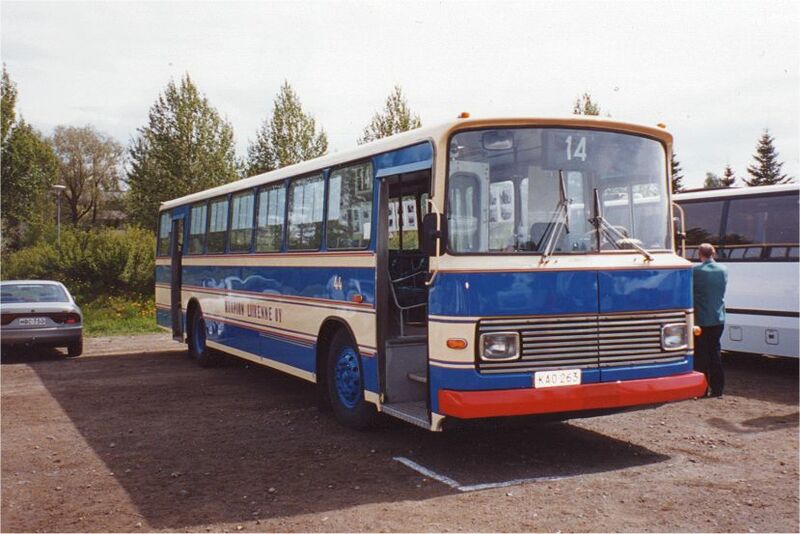 A slightly drooped articulated bus in the Porvoon liikenne depot. 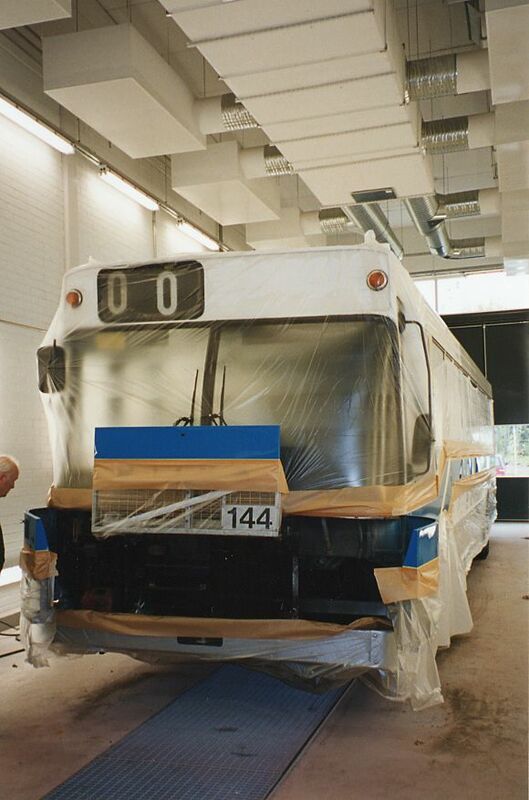 This ex-Liikenne Wiima K202 was being painted in Porvoo for a transfer to Jyväskylä. 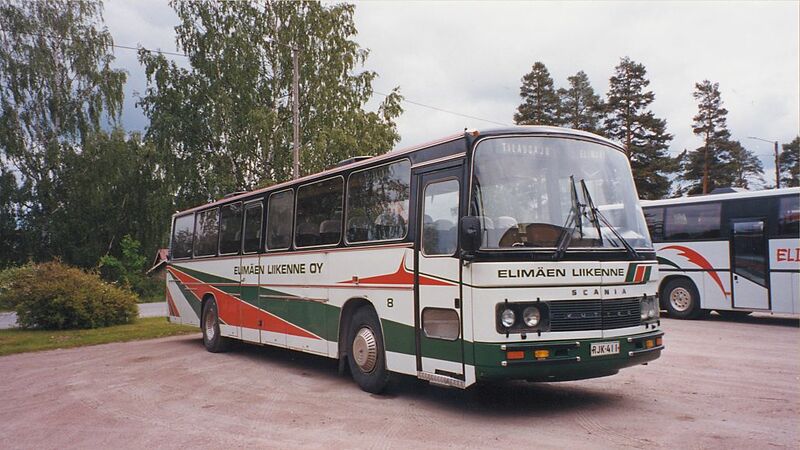 This bus had just been restored by the association and returned to its original Kuopion Liikenne -livery. On show in the Joensuu exhibition. 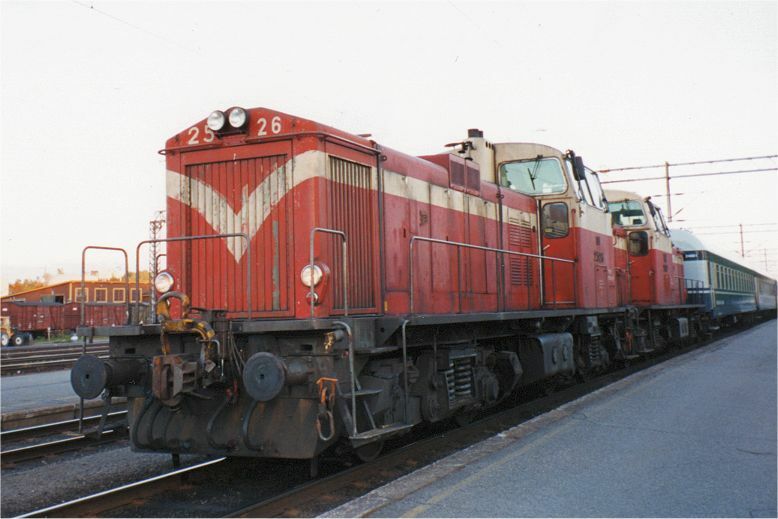 In dual-pull at the Joensuu station. 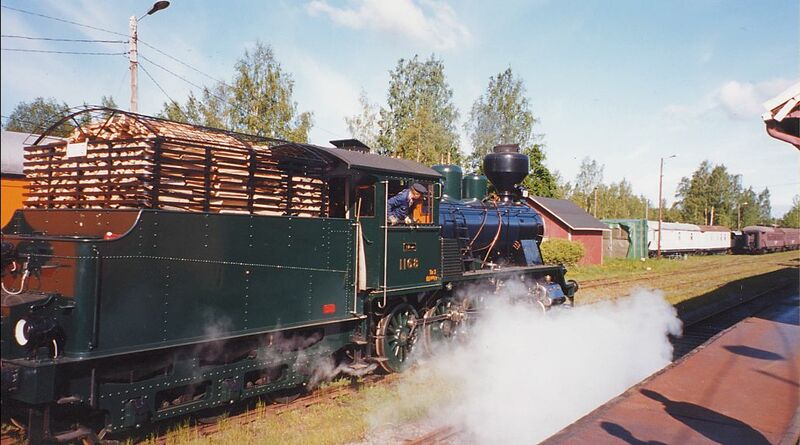 Preparing to depart from Porvoo station. 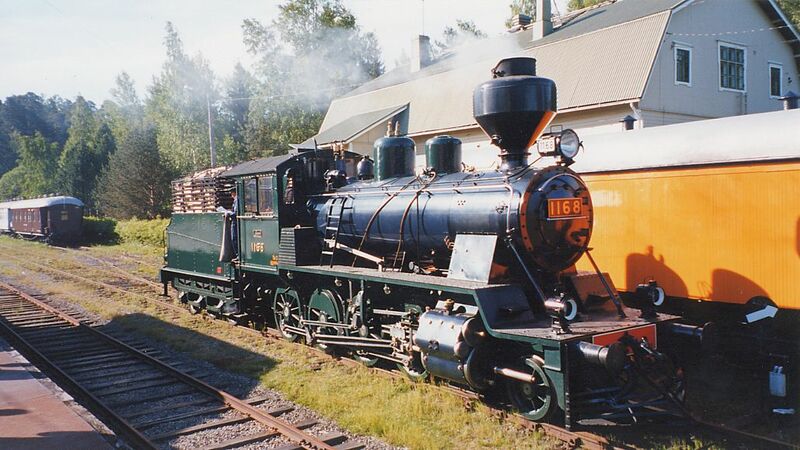 A Finnish page about the restoration of this engine. Being cleaned in the depot yard. With a Lahti Flyer 520 in the background. The same from behind in front of the depot building. 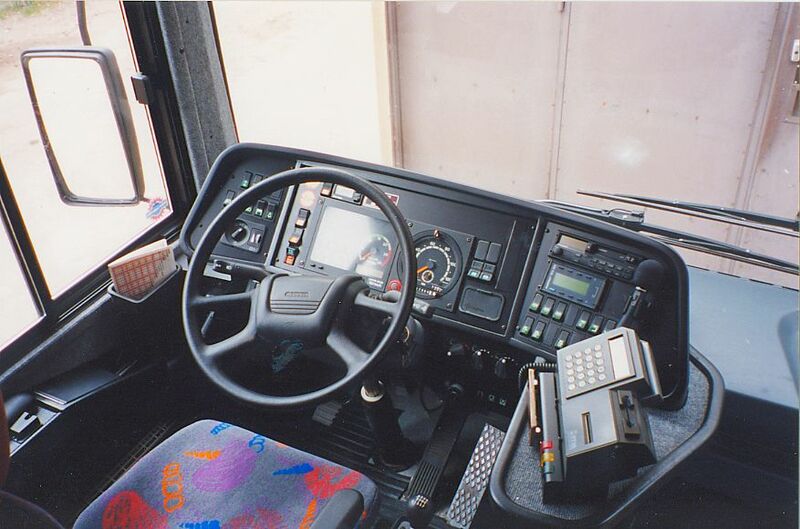 The controls of the newest bus owned by Elimäen Liikenne at the time.